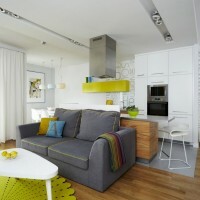 Widawscy Studio Architektury have designed the interior of an apartment in Warsaw, Poland. Apartment in Warsaw is an open space suffused with daylight and symbolically divided into zones for different purposes: hall, kitchen, living and work space. The creation of flexible space which allow to spend time together was a basic purpose of investors, that we have collectively achieved. "Merging" living area in one open interior gave residents a sense of freedom and became a field of different activities: conversations, work, play, preparing a meal, reception of guests and rest. With the right shaping of space in terms of functionality all flat zones seamlessly overlap to form a coherent whole. 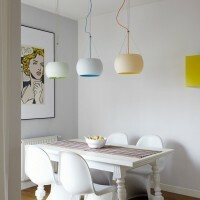 The dominant color in the interior is white temperate conected with natural, wooden floor. 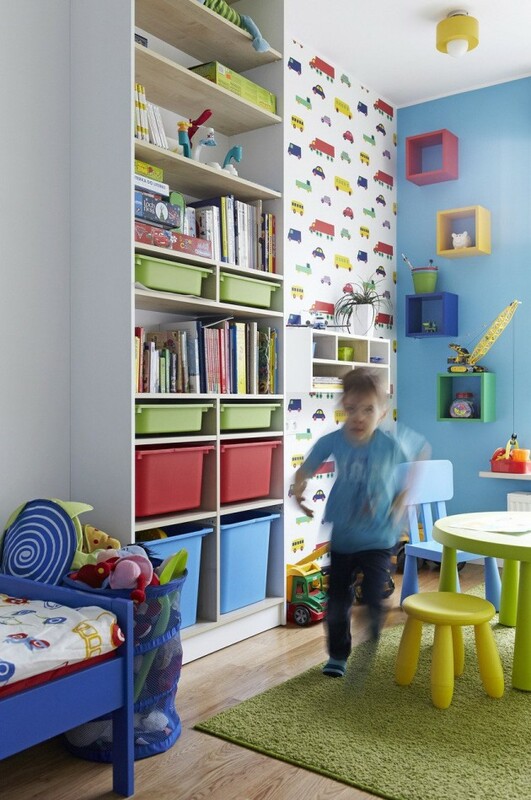 Character of the interior creates a lot of colorful accents for a variety of forms and functions. 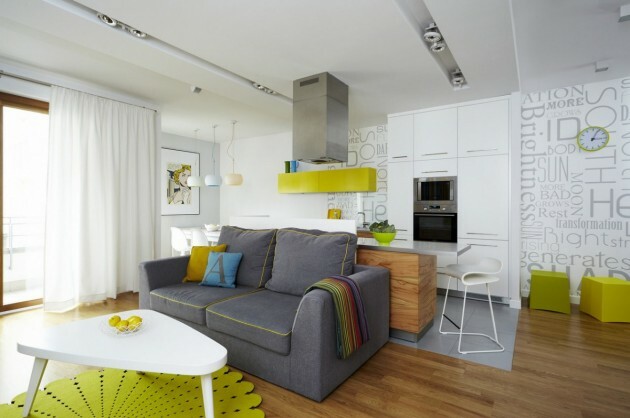 In the space of the kitchen those are yellow, hanging cabinets, in the living room yellow interior of white bookcase, and other accessories like yellow carpet in a circle referring to the style of folk, lamps, chairs, pillows and other small items. 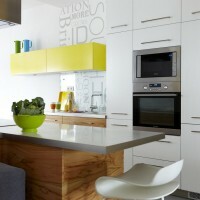 The whole emphasizes the color dominant in colorful stripes photo wallpaper, designed specifically for the interior and graphic wallpaper with subtitles permeating the kitchen area to the entrance hall apartment. 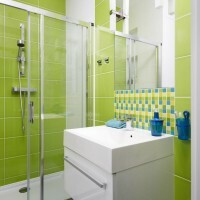 Other areas relate style living area – green bathroom with the theme graphic, printed on white PVC, the son's room with the dominant of white broken by color accents in the form of wallpapers and accessories. Bedroom – bright and light, unlike the rest of the apartment, without strong accents of color promotes rest and relaxation.